3. URL of spoof website disguised as https://www.southtrust.com/st /PersonalBanking/. This looks secure (https), but is NOT. 4. Website traced to San Jose, USA. 5. Website is very professionally made and looks genuine - do not be fooled!
" 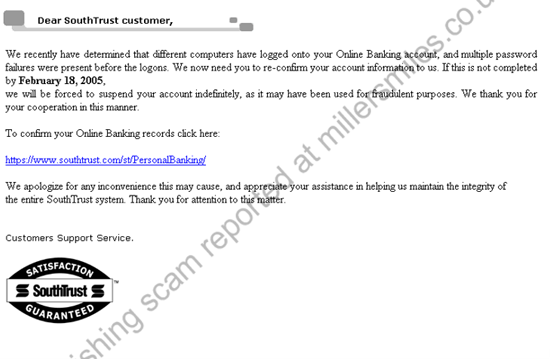 We recently have determined that different computers have logged onto your Online Banking account..."